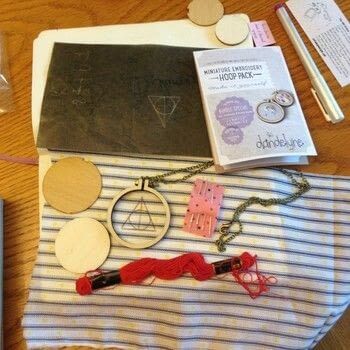 I recently had the privilege of being a Craft Tester for Dandelyne's lovely tiny hoops! I hope you enjoy my Harry Potter Inspired tiny embroidery! 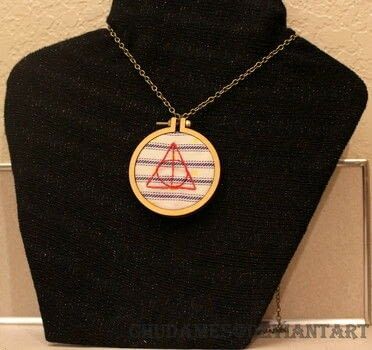 - Dandelyne Miniature Embroidery Hoop Pack: Largest Hoop. 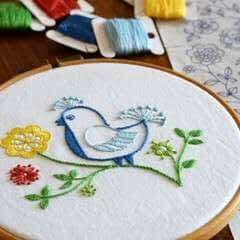 - Regular Sized Embroidery Hoop for stitching. 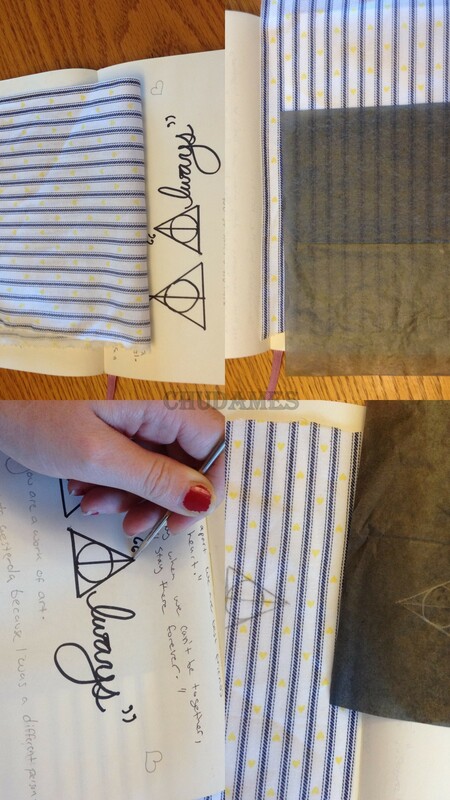 To begin, make (or find) a Deathly Hallows' drawing that fits your hoop, and trace it onto your fabric VIA carbon paper. 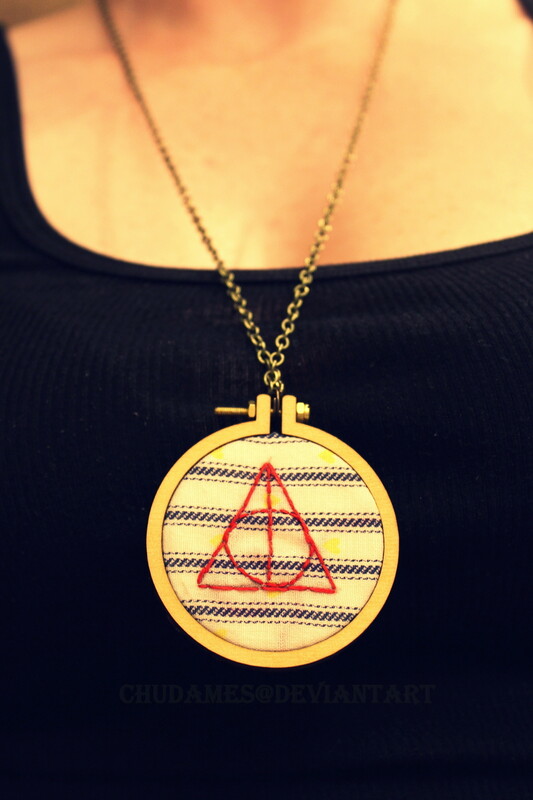 Make it somewhat centered so you will have an easy time embroidering it on the larger hoop. Stretch your fabric in your larger hoop. Using 3-4 strands of floss, thread your needle. 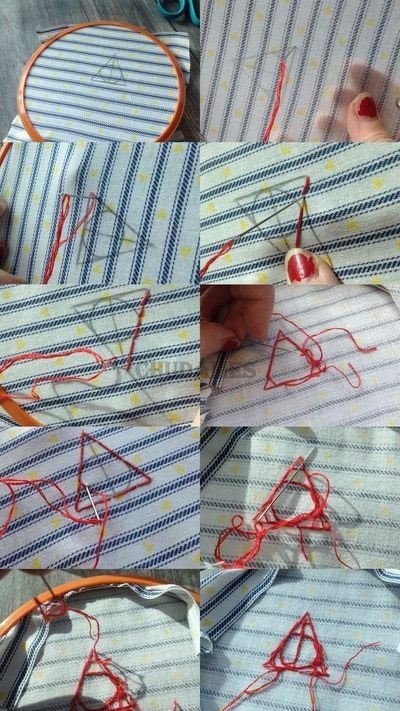 Starting from the back of your work, back stitch the design. Fit your finished embroidery into your necklace hoop, using the flat circular piece of wood to secure it, and tighten your hoop. Tuck the excess fabric in, and glue it into your hoop. Secure the back to the hoop using hot glue. 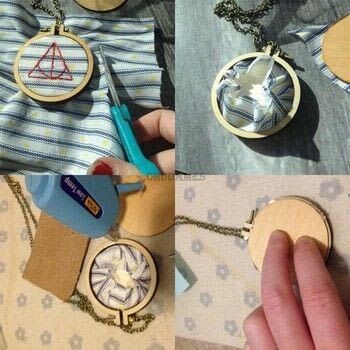 Trim off any excess glue after it has cooled. 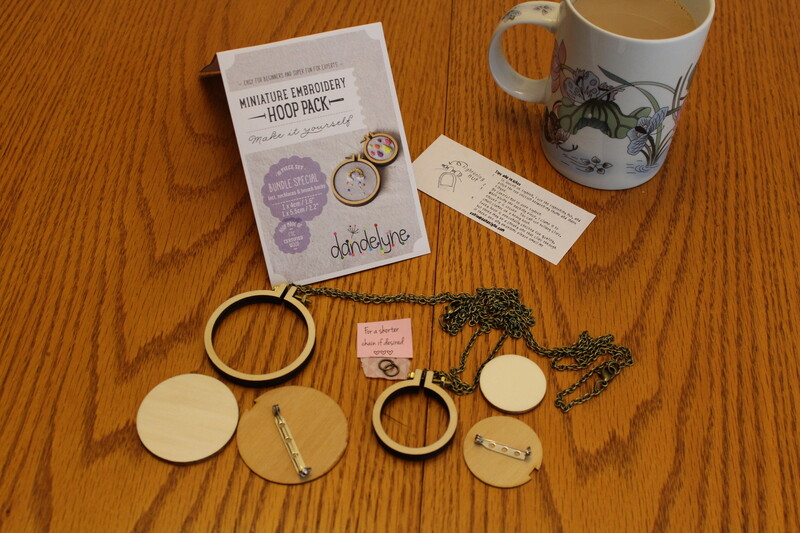 Check out Dandelyne for more tiny hoops, and great ideas!